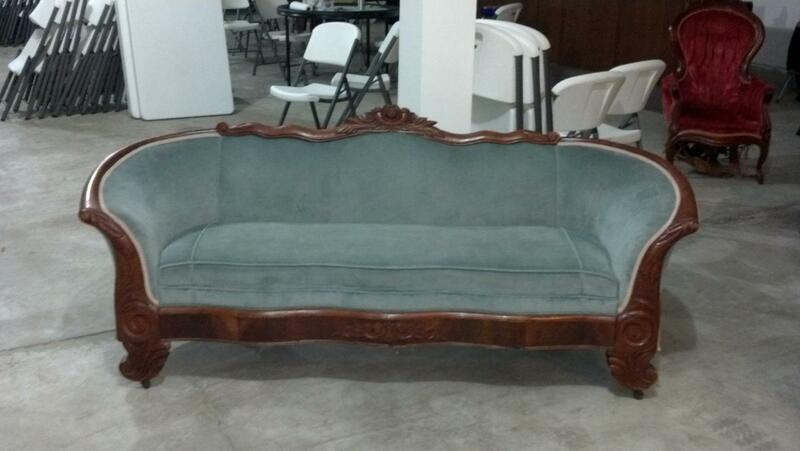 My wiley niece, Sara, came across this lovely sofa at an estate auction and drove it up to greenwater from South Dakota. It is a lovely little treasure. So lovely, in fact, I may have to start serving High Tea. Stop by for a sit & a sip. Ooh, I see my new favorite spot. Sorry aubergine chair!